OTTAWA — Canada has begun resettling hundreds of people rescued from slavery in Libya, Immigration Minister Ahmed Hussen says. 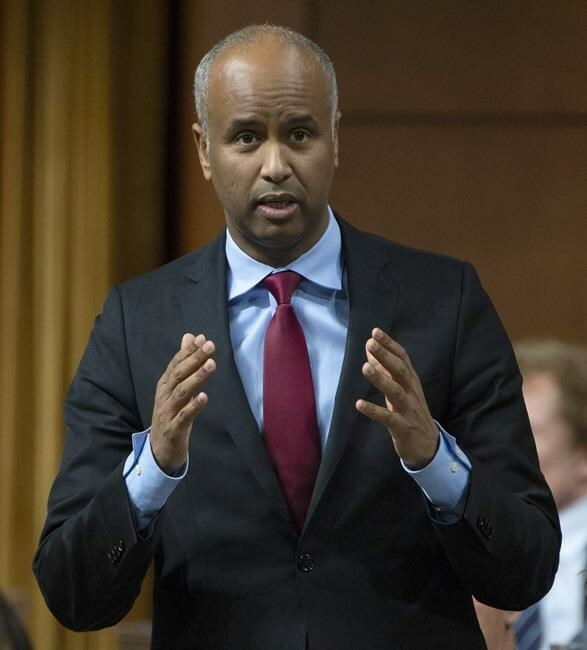 Canada was "one of the few countries" to respond to a request from the United Nations refugee agency in 2017, Hussen said in an email Wednesday. More than 150 people have been resettled and another 600 more are expected over the next two years through the regular refugee settlement program, he said. "We are also taking action to resettle 100 refugees from Niger, rescued from Libyan migrant detention centres, including victims of human smuggling," he added. Libya is a major stopping point for asylum-seekers from Africa, who intend to cross the Mediterranean Sea to get to Europe. A video of what appeared to be smugglers selling imprisoned migrants near Tripoli became public in 2017, prompting world leaders to start talking about freeing migrants detained in Libyan camps. The program follows recent refugee resettlements of about 1,000 Yazidis from Iraq and 40,000 Syrians, threatened by Islamic State militants and Syrian forces. "Canadians have always been welcoming to newcomers, and that generosity has helped offer protection to those fleeing persecution, terror and war," Hussen said. R ~ "Canadians have always been welcoming to newcomers, and that generosity has helped offer protection to those fleeing persecution, terror and war," Hussen said. And this 'refugee', like so many others have enough balls to take advantage of that generosity knowing full well that we were welcoming white Europeans looking for freedom, not Africans and other third world 'refugees' looking to enslave.